Dear friends and followers! It's time to celebrate midsummer here in Sweden! The way we usually do that is to accompany the traditional herring, potatoes, eggs and sourcream with some swedish schnapps. This year I decided to go with the 'Eastern-Sweden malt and grain schnapps'! 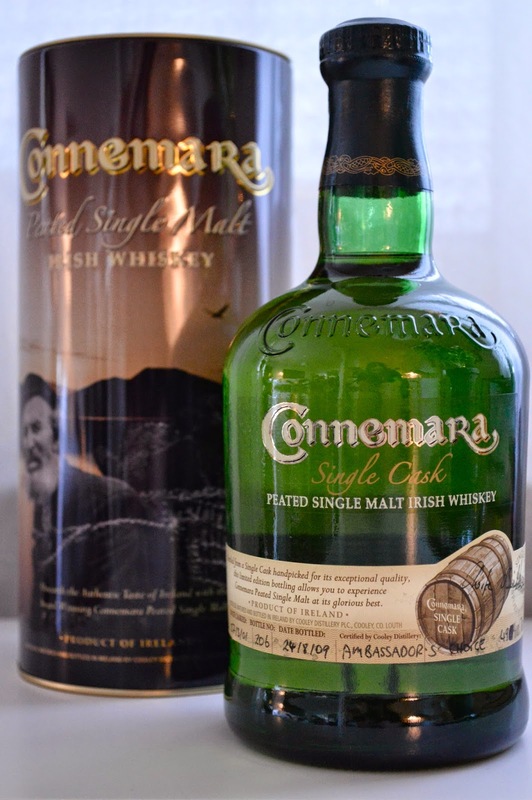 This schnapps is based on a malt and grain destillate that has been matured in oak casks and after maturation spiced with honey and raisins! Ok, let's try it! Very faint touches of dry grape-peel in combo with light sultana raisins. 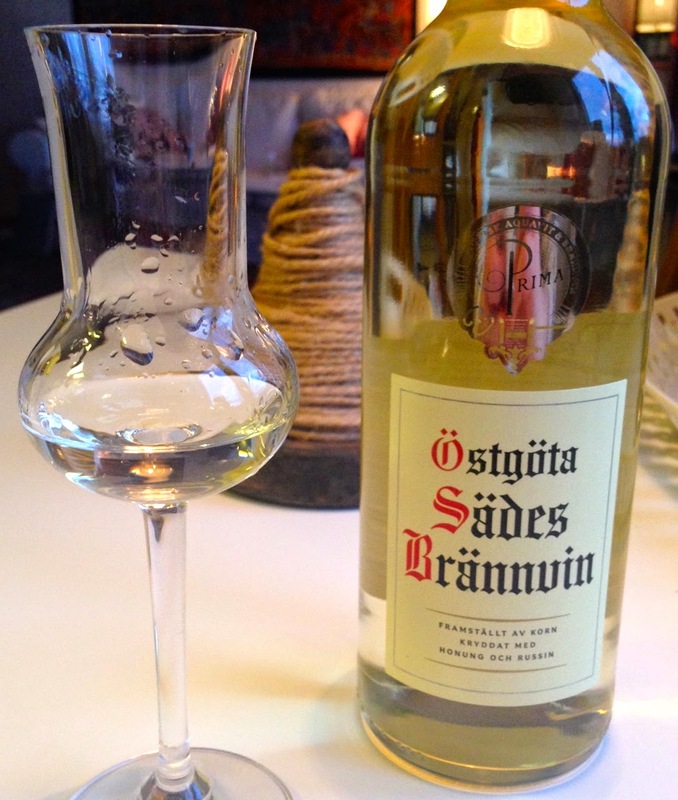 Not that overly evident alcohol for being ”brännvin/schnapps”. Quite malty actually, very interesting nose. Some touches of honey melon and a slight vanilla somwhere in the background… really soft spirit when you nose it like this in a grappa-glass! This schnapps for sure is whisky-esque! 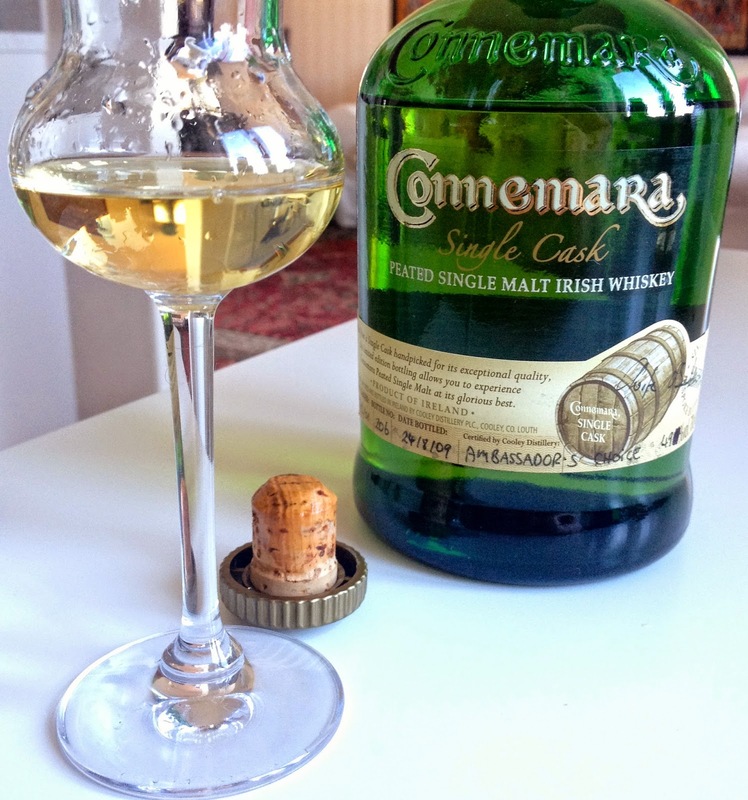 Starts of with a tad of salt liqorice and Poitin, then very light honey with ginger. We also have the sultanas from the nose. After a while there is a soft oakyness, which developes quite fast into a kind of dry maltyness. I strongly recommend malt-heads to try this one! 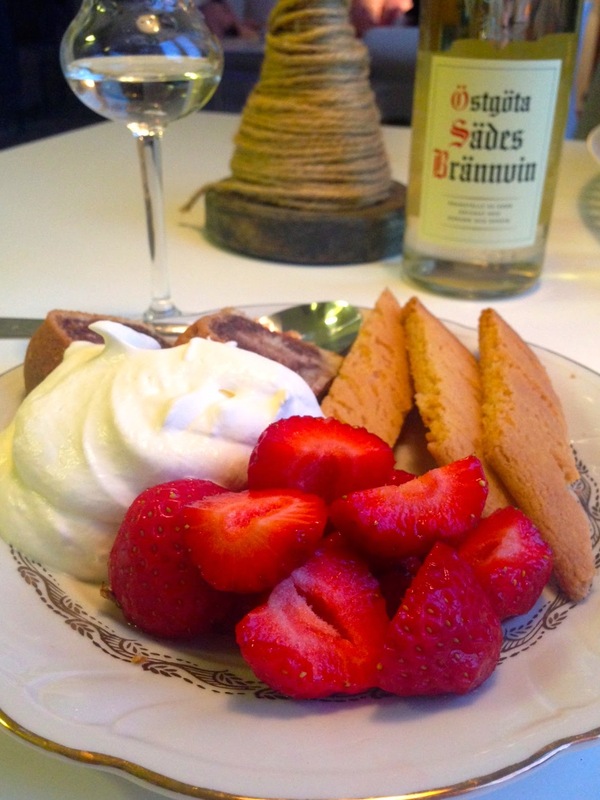 This one works very well at room temperature (although the swedish schnapps traditionally is served at freezer-cold temperature) and served in company of wonderful strawberrys and whipped cream J Just as I was served by my beautiful wife right now... Sláinte!